With a storm brewing and a spirit appearing, Tad and Pavel are forced together and a decision needs to be made. Tad Vanderhof looks forward to a quiet holiday now that his friends have left to visit various family. He needs time alone to recover from their last few investigations. Tad's body and spirit have taken a beating and he's not sure how much longer he can hang on. 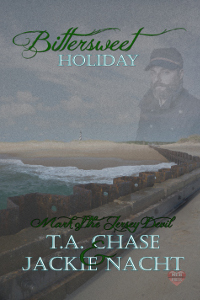 Then he receives a phone call from Pavel Sarafov, Oleg's older brother, about a haunting in the Outer Banks. As much as he'd love to say no, Tad can't deny Pavel's request for his presence. What he discovers when he arrives could change his life forever.